The Nelson Tasman region offers a lifestyle, it is arty, vibrant, interesting, a place of sunshine and golden beaches and there are plenty of reasons to stay and have a good look around. Situated at the top north-west of the South Island the region is very accessible from all points around New Zealand whether arriving by air, sea or road, it is the sunniest region in New Zealand and its main centres include Motueka, Takaka, Abel Tasman National Park, Golden Bay and Kaiteriteri. Enjoy this beautiful and diverse environment while you get acquainted with the creative local culture. Nelson City is a fantastic place to live, work and play! Take time to enjoy boutique shopping, designer fashions, amazing arts and crafts, great cafés and restaurants and the world-famous Markets. There are over 300 artists in Nelson Tasman, and every type of art is represented from painters, sculptors, ceramic artists, potters, glass blowers, jewellers, performance artists, writers and creators. Take in the stunning views of the Nelson Tasman area by bicycle. The trail can be done as a whole, or in sections, but whichever you choose your path will take you to vineyards, breweries, orchards, art galleries and boutique shops. The township of Mapua means ‘abundance’ in Maori and it certainly doesn’t disappoint. 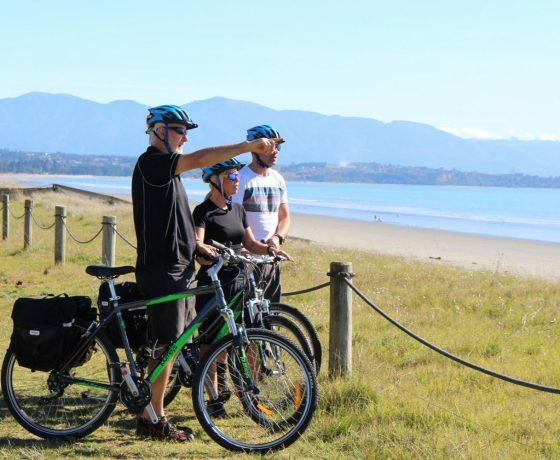 Situated on the Waimea Estuary right in the middle of the Tasman Bay just a 35 minute drive from Nelson City, Mapua is a magical spot to relax, enjoy fine food and drink and challenge yourself to some amazing cycling. With cafes, pubs, restaurants, wine bars and a brewery, the choice of local craft beer, wine and dining options are first class. Local favourites on the Mapua Wharf include locally sourced fish & chips and real fruit ice creams. Takaka and Golden Bay are a nature lover’s paradise, there is just one road in and out of Golden Bay, and those who travel over the ‘Marble Mountain’ or Takaka Hill, are richly rewarded by sweeping views of rugged mountains, fertile valleys and stunning beaches. 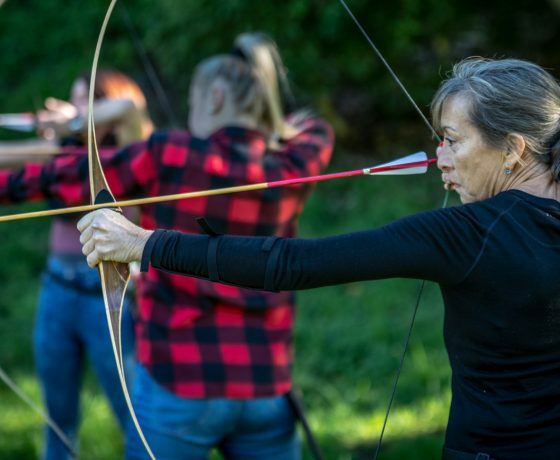 Base yourself in the townships of Takaka or Collingwood and take your time to explore this unique region. Discover the natural beauty of the area with a Farewell Spit Eco Tour, stopping in Puponga and the most northern point on the South island, Cape Farewell. From the cliff top, seals and their pups regularly seen basking on the rocks below, and other stunning views can be enjoyed from the lighthouse. 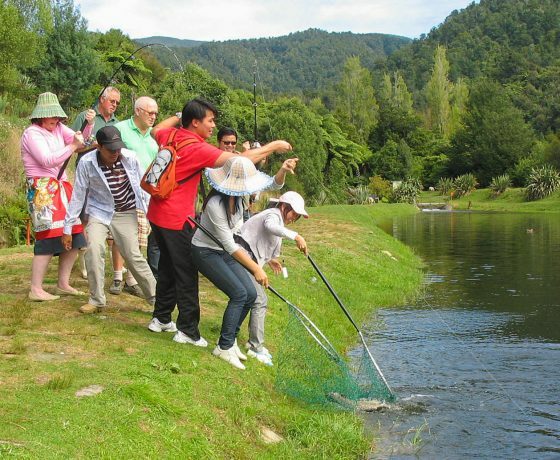 Then visit Te Waikorupupu Springs, the largest freshwater springs in the Southern Hemisphere. 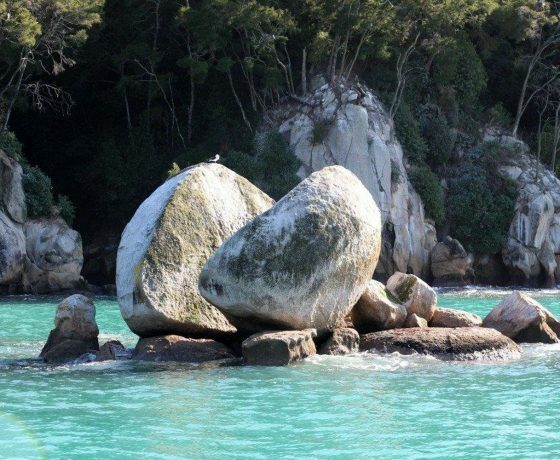 Explore the Abel Tasman National Park the only coastal National Park in New Zealand. Its golden sandy beaches and clear turquoise water make it one of the most popular and accessible by walking, cruising or kayak. The sheltered bays of the Park are perfect for sailing and sea kayaking, also offering opportunities to see the seals and dolphins who regularly play in these coastal waters. 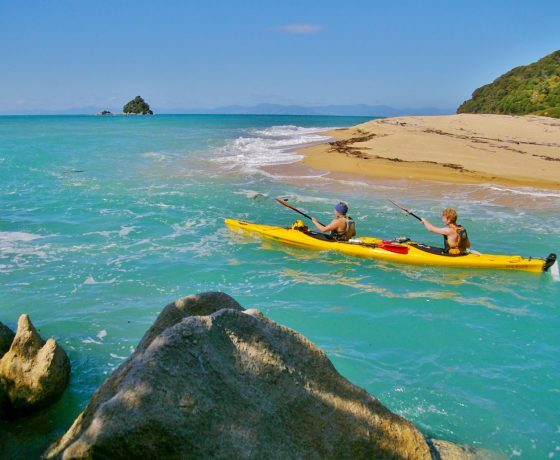 If you prefer to explore by land, the Abel Tasman Coast Track follows the coastline through native bush, over limestone cliffs and along golden beaches. 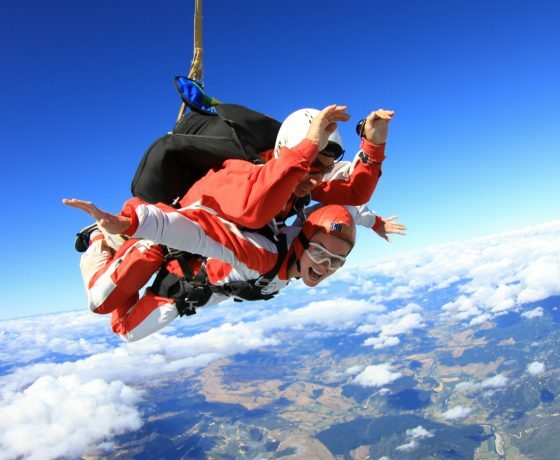 Take to the skies to sky dive over Abel Tasman National Park, where you can see both the North and South Islands of New Zealand. The landscape will take your breath away as you fly over mountains, bush-clad hills, rivers, orchards, vineyards and golden beaches. 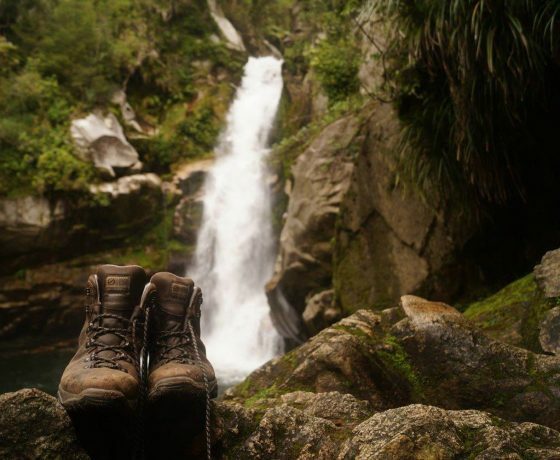 Kahurangi National Park is the second largest national park in New Zealand spanning 452,000 hectares and covering 570km of incredible tramping tracks. The park stretches from Golden Bay in the north, south to Murchison and to the West Coast. Within this north-west corner of the South Island lie some of NZ’s oldest rocks, spectacular marble and karst land forms and the most intact remnants of the peneplain landscapes that featured in New Zealand around 60million years ago. Explore Murchison, St Arnaud & the Nelson Lakes National Park, a pristine alpine area, with the village of St. Arnaud being just over an hour’s drive south of Nelson. The National Park is the northernmost part of the Southern Alps and the area has a huge range of short and long walks which you can enjoy from a short stroll through the beech forest to remote mountain passes to challenge the experienced solitude-seeker. From every angle you will find you need to stop and photograph the impressive native beech forests, river valleys, glacial lakes and craggy peaks. Nelson Lakes National Park is home to over 16 lakes including the Blue Lake – recently discovered to have the clearest natural freshwater in the world. 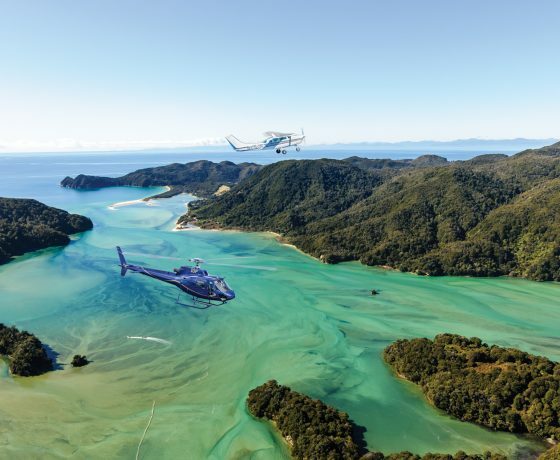 Immerse yourself in truly amazing experiences that offers stunning scenic flights either in a plane or helicopter – No better way to explore the top of the south. 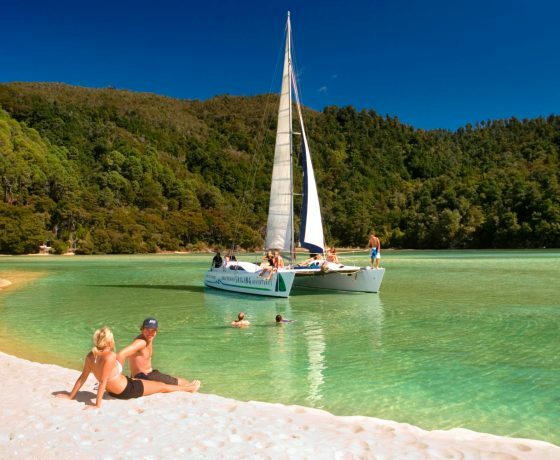 Enjoy the wind in your hair & experience the joy of sailing while taking in the fantastic sights of the Abel Tasman National Park. 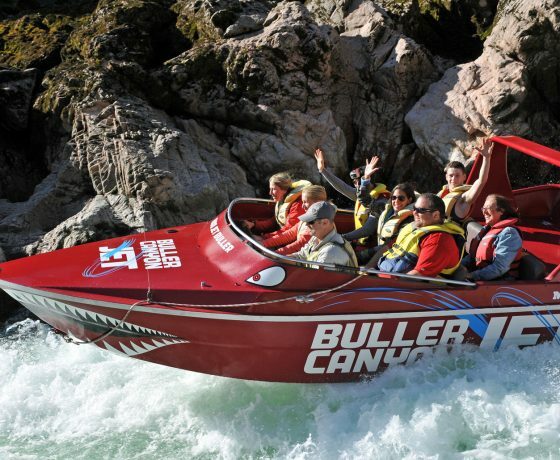 Make the most of your stay in the Nelson Tasman region. 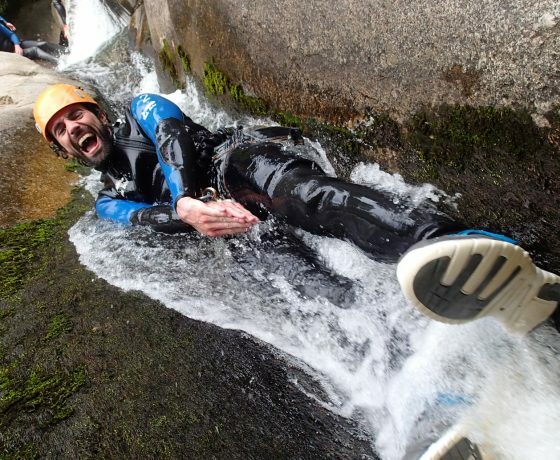 Trail Journeys can offer many independent day, or multi day adventures. 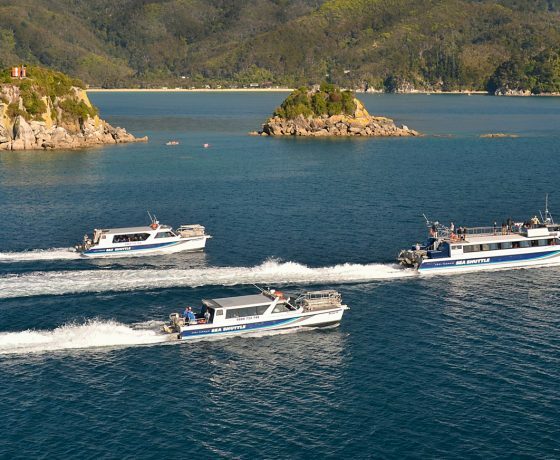 specialise in taking clients into the Abel Tasman National Park by boat with our customized fleet of ferries and with our sea kayak company. We are so lucky. Everyday we make people ecstatically happy doing what we love - Skydiving over the awesome Abel Tasman!